"The Roav Bolt is built to work with Android devices, and brings the Google Assistant to almost any car. Just say, 'Hey Google,' when you're in the car or tap the button on Roav Bolt to find the nearest coffee shop, play your favorite song or podcast, navigate home, read texts, make calls, set reminders and check your schedule for the day," says Tomer Amarilio, Product Manager, Google Assistant. 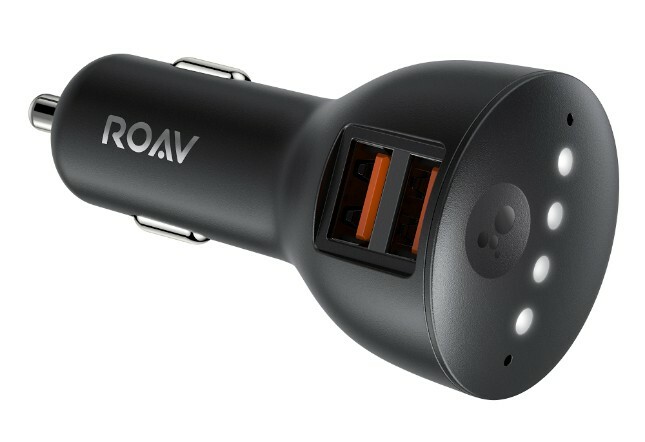 Amarilio further says, "Roav Bolt plugs into your car's charging socket, connecting to your phone's Bluetooth and then to your car’s stereo. The far-field built-in mics on the Roav Bolt ensure that your Assistant hears you clearly, whether your phone is locked or stashed away or if you’re blasting music." What I really like about the Anker Roav Bolt is that it also has a button to launch the Google Assistant -- not just a wake word. This gives the user options, which is good thing in this case. You can easily touch the button without taking your eyes off the road. It also features two USB-A ports for charging, so if you only have one such charging/cigarette lighter socket in your vehicle, you won't have to swap anything. Unfortunately, it is Android-only now, but Anker promises limited iOS functionality will soon be available -- in Beta. The Roav Bolt will hit stores soon for $49.99. While Best Buy and Walmart are listed as being two definite retailers for this Google-endorsed device, I expect it to be carried on Amazon too.